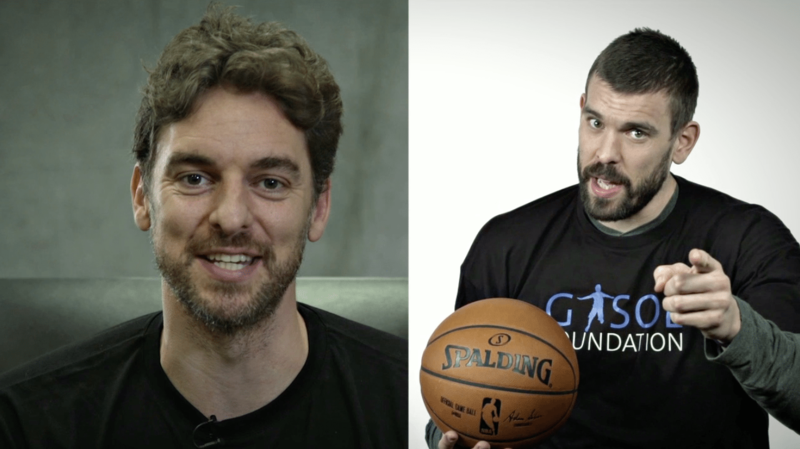 In honor of World Day of Physical Activity, NBA stars Marc and Pau Gasol, through their Gasol Foundation, want to promote a series of educational videos in order to convey to children and their families that health and fun go hand in hand. World Day of Physical Activity is celebrated on April 6th. To show support of this day, Gasol Foundation has launched the video playlist ‘Make It Healthy, Make It Fun‘ on the YouTube Kids app. The goal is to help promote healthy habits from a young age and reduce childhood obesity rates. Pau and Marc Gasol decided to reach the largest global video audience and make this YouTube Kids playlist as a fun way to get kids to be proactive about adopting a healthier lifestyle – a lifestyle the Gasol brothers hope kids will also carry into adulthood. 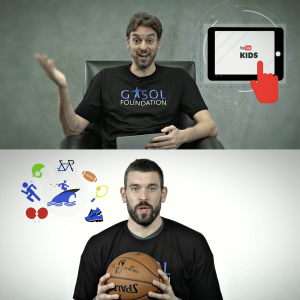 The Gasol Foundation’s main goals are to reduce the childhood obesity rates by raising awareness about the importance of physical activity and advocating the benefits of adopting a healthier lifestyle. And technology, present in children’s lives, without a doubt can be used as a powerful tool to prevent childhood obesity if used right. 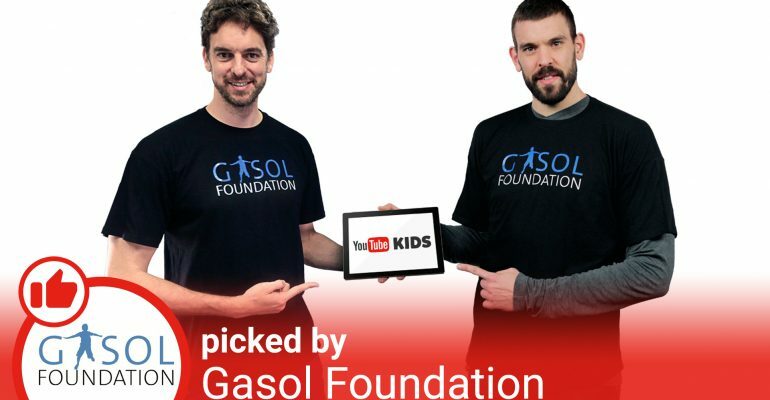 By launching this #MakeItHealthyMakeItFun playlist on YouTube Kids, Gasol Foundation hopes to encourage kids to take preventative measures against obesity in a fun and modern way. “Me and Pau are both strong advocates of healthy living and being active. We want to explain to children how fun it can be to take care of themselves” Marc explained. “Technology is part of children’s daily routines and we wanted to use the same platform, they use to communicate with them and promote healthy habits. Watching this playlist,” – continued Pau – “children can explore alternatives to move more, learn nutrition basics, discover how important hydration is for their full development and how to relax and have quality sleep time. More exercise and laughs for the whole family are guaranteed!”. The playlist contains 20 videos where children of all ages can enjoy their favorite animated cartoons, while learning about fun exercises, nutritional and easy recipes that they can cook with their families, and so much more. Also throughout the playlist, Pau and Marc will be sharing their favorite videos and their personal thoughts pertaining to health and wellness. Who said that a healthy lifestyle can’t be fun? This Make It Healthy, Make It Fun playlist proves otherwise. Gasol Foundation’s 2nd Annual Art Contest ‘Draw your favorite Sport’ was a great success – with over 3,000 drawings received!